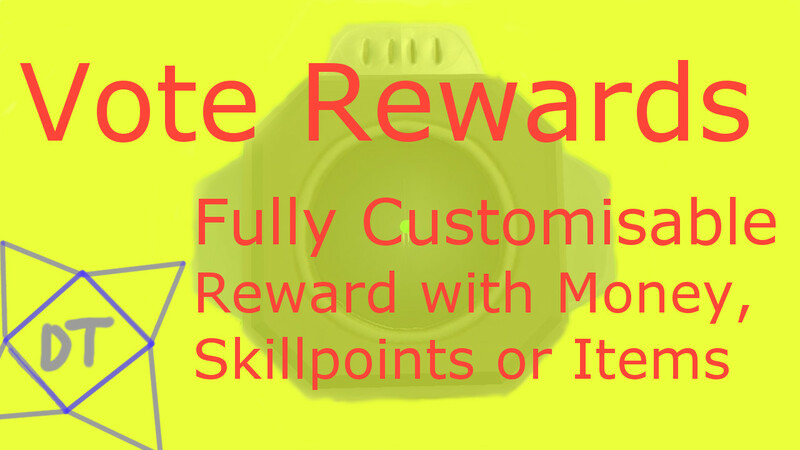 This mod implements a reward system for servers using manual or ecoserver.io for their voting needs. The mod allows players to receive an internal premium currency stored separately from the game's data. And in turn, also allows players to retrieve in-game rewards for their loving dedication to your server. Automatically checks for recent votes by frequent voters. On the fly reconfiguration. You don't even need to restart your server. Fully customisable item list to allow purchases. Automatic vote redeemer does not work for SteamID votes, however, can be done manually with the "/vrvotecheck 1" command. ClaysToolkit - (API Only): Both mods fighting over primary usage of the ecoservers.io's api. There can only be one. Move the mods & storage folders contained within into the server's main directory. Configure the mod by following the configuration guide on GitHub. Move the mods & storage folders contained within into the "Eco_Data/Server/Mods" folder. - Mod now uses world time instead of ecoservers.io time to remove users from the auto-update list/repeat vote list. - Mod now allows up to 2 real-world days (counted by the server) for repeat votes. - Removed ticker debug code as it was spamming console. -File with a link to a youtube configuration & usage guide. Fixed issue with ticker not correctly redeeming votes. Just released a hotfix for the Ticker issues people have been having.